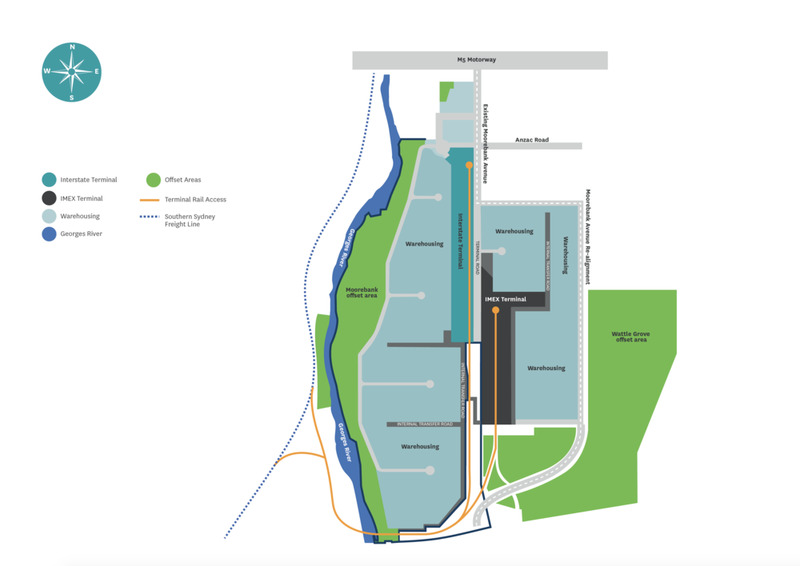 The Moorebank intermodal freight terminal is one of the most important freight infrastructure projects being developed in Australia. An intermodal freight precinct is made up of a rail yard, trucking and warehouses, which allow shipping containers to be transferred between rail and road. substantial biodiversity offset areas protected from development, including vegetation on the east bank of the Georges River. The precinct master plan includes the future realignment of Moorebank Avenue to the northern and eastern boundary of the precinct. Any such proposal will be subject to a separate planning approval process.